While many of us are all too familiar with the image of the Islamic terrorist, a few know that the Islamic tradition contains many spiritual treasures, the foremost of which being the call to hospitality. I have experienced this beautiful hospitality many times when visiting Dearborn (Michigan), home of the largest Arab American community in the US, with my college students. We are always greeted with plenty of refreshments, very much appreciated after a long, early morning bus drive. The community spends the whole Saturday morning with us, taking away from time with family and leisure, not expecting anything in return. As if that were not sufficient, they also send us back with baklavas’ trays so big that they could feed a whole legion. Similar experiences are reported by many of those who travel in the Islamic world. What is striking about these stories is that the acts of hospitality are not directed only to friends or family. Rather they are directed to the foreigner, and the religious other. Father Thomas Michel, a Jesuit priest with a lifelong experience living with Muslims in Turkey, often recalls that while in Ankara he never went starving. Everyday he would find a pot of soup or food left on his doorsteps by an anonymous neighbor. In the Islamic tradition, the call to hospitality is rooted in the Qur’an and in the life of his Prophet. A famous Sura of the Qur’an (51: 24-27), paralleling Genesis (18: 1-8), recalls the story of how Abraham treated his visitors with utmost reverence, serving them at once a fat calf, because they were strangers. Another Islamic tale tells of the time when Abraham was reproached by the angel Gabriel for having turned away a guest who had refused to bless the food prior to a meal. According to this Islamic tale, the angel Gabriel reminded Abraham that God had been feeding this “unbeliever” for seventy years, and Abraham should have done the same at least for one day. The professor of Quranic studies, Joseph Lumbard, explains that hospitality in Islam has nothing to do with ostentatious display. Rather it goes hand in hand with simplicity and humility. It is not the expensiveness of the food, or of the shared gifts, which characterize the many acts of hospitality which I and my students have often experienced in our Muslim hosts. The goal of hospitality in Islam is to make strangers feel at home in one’s household or place. This is expressed very well in an old Arab saying, “al-bayt baytuka,” which literally means “the house is yours,” says Dana Sajdi, Professor of Islamic History. It is not by chance that Metro-Detroit, where Dearborn is situated, has been recently nominated the 10th most welcoming city for immigrants in the USA by the New American Economy advocacy group. The local Arab-American communities are often the first to provide the newcomers with a network of support, and other material necessities. If some lack a car, others offer them a ride to work or to the grocery store. Najah Bazzy, a third generation Lebanese-American Muslim, and founder of Zaman International, serves the local needy families, Christian and Muslim, indiscriminately. In an interview, one of her beneficiaries describes how she once received toys and gifts from Zaman for her and her children to celebrate Christmas. Asked about the reasons why she does what she does, Najah responds that as human beings we all share similar experiences of joy and suffering, hope and despair, health and illness. It is to those needs that she and all the staff at Zaman International direct their services, placing others before oneself, like the Qur’an (59:9) teaches. As the experience of Metro Detroit illustrates, the power of hospitality cannot be overestimated. Poverty, lack of food, and segregation could be overcome if we could simply all go back to the call to love our neighbor which is at the heart of the major religious traditions. In the majority Christian nation of America, I muse at the fact that it is the religious other who brings to life the old biblical teaching: “the brother helped by another brother is like a strong city” (Book of Proverbs, 18:19). 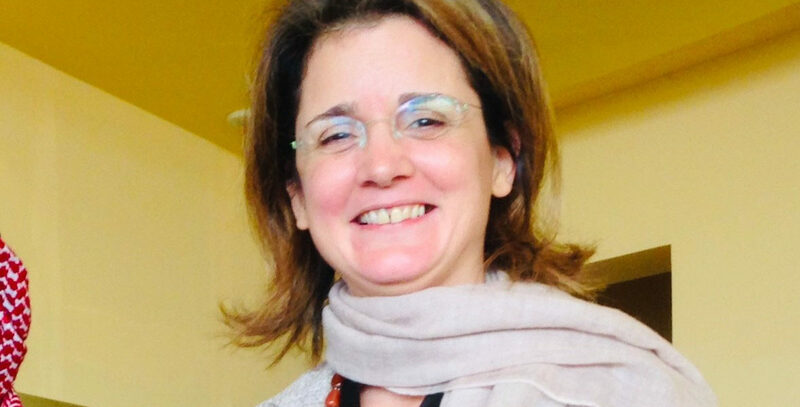 Paola Bernardini, PhD, teaches Christian-Muslim Encounter in the Center for Global Perspectives of Holy Cross College at Notre Dame. She has been a Russell Berrie Fellow in Interreligious Studies and former Associate Director for Research of Contending Modernities, a global education and research initiative at the University of Notre Dame.